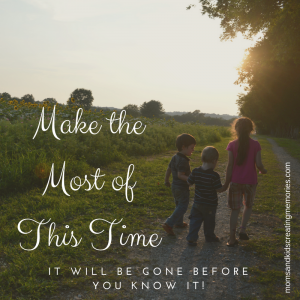 Our kids are only little for so long and if you are like me it is so easy to get caught up in the everyday stuff that I miss out on opportunities to have fun with my kids in the day to day. 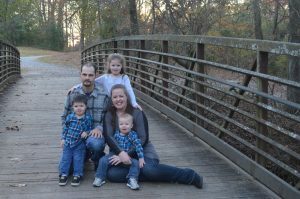 I’m here to help you and your kids have fun and it doesn’t have to be hard. You can do things as simple as coloring, dance parties, and building towers. 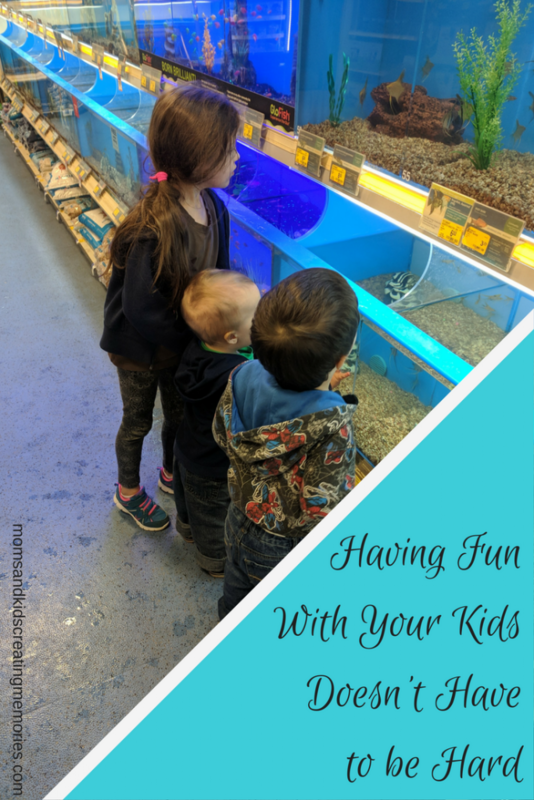 Just the other day I took my kids to a pet store and they had a blast and it was a simple thing to do and yet it made a memory for me and my kids. 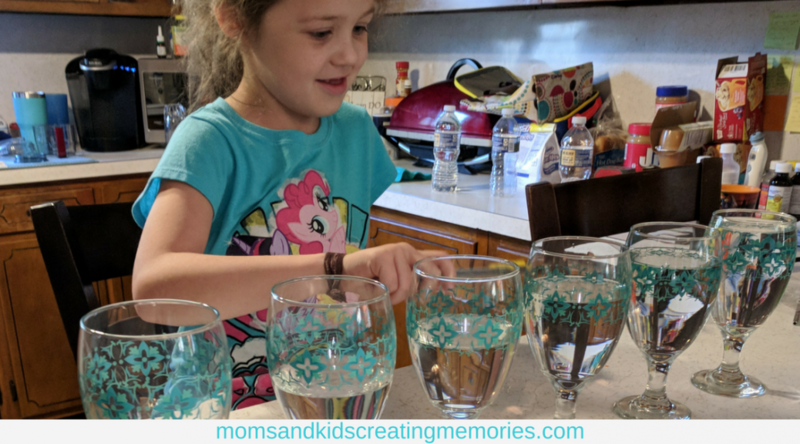 For homeschool last week I was teaching my daughter about the five senses, so I filled up 6 glass cups with water and let her make music with a pencil on them. Those cups of water were on my counter for a couple weeks and my kids would play with them almost every day. It took me just a couple of minutes to set up and yet provided fun entertainment for my kids for days. As you can see there were dishes to be done and a counter to clean but the look on her face and the fun that she had made the time I took to spend time with her totally worth it. A lot of crafts and activities you can do with items you already have around your house or you might not need anything special at all. Kids love doing things with their parents, so even the smallest activity will be creating memories with your kids. It can be as easy as picking up some leaves outside and making leaf rubbings and all you need to do that is a piece of paper and a crayon. Your kids will not remember if the dishes were done or if the kitchen was a mess, but they will remember that when they were sick you cuddled on the couch with them and watched their favorite movie or the family fun nights of eating junk food or reading books together. 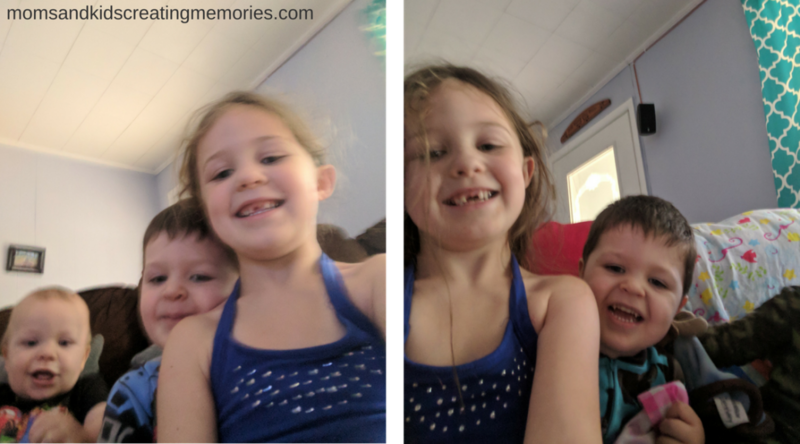 Just the other day my oldest asked to borrow my phone and she did some selfies with her brothers and the laughter that I heard made me smile – just simple things to make memories and have fun. They will remember the towers that you have built with them more than the clean house you might have. 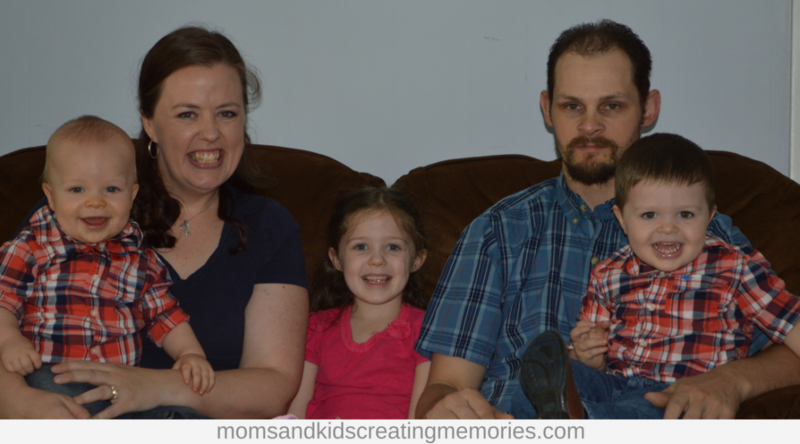 Don’t get me wrong I still like to have the toys all put away and my house to be clean but taking time to create memories with my kids is important as well. This is the only family they will have and I want to them to think back on these years and be thankful and happy. 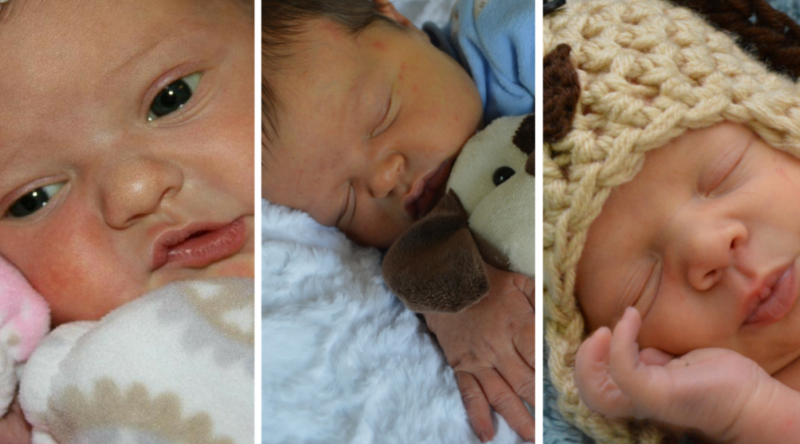 I’m going to try to show you many different crafts and activities that you are going to be able to do with your kids. Most of these will use supplies that you already have around your house or that you can buy cheaply for the most part. 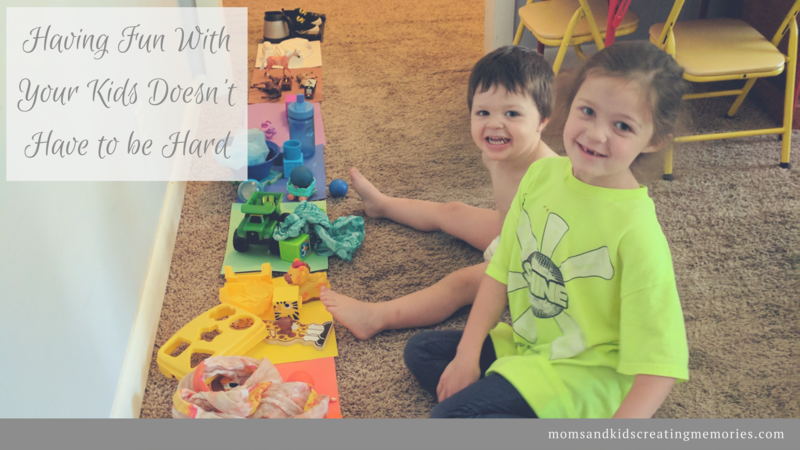 My two oldest just did a fun color train activity a couple weeks ago that was super easy for me and a ton of fun for them and they were learning while they were playing. I laid out all different pieces of colored construction paper and then they had to go all around the house and find things to match those colors and put them on the papers. They have asked me multiple times if they can do it again. You can download a list of the most used supplies by clicking on the link below and signing up for my newsletter. That way you won’t miss out on any of the new crafts I will be testing with my kids and sharing with you. Until next time, keep creating memories with your kids! Get Your Freebie and More! Thank you! You have successfully subscribed to our newsletter. You will get your freebie soon! Signup to receive your freebie plus fun moms and kids creating memories crafts right in your inbox.